Hello my name is Eric Gulizio. 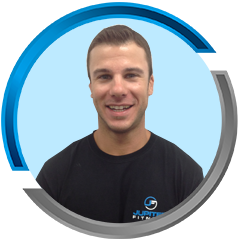 I am the personal training director here at Jupiter fitness. My experience in the fitness industry is vast with just a little over 15 years under my belt. 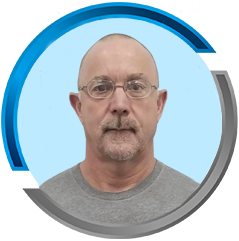 I hold a personal training certification from the National Academy of Sports Medicine. Other than being a new father my fitness career has been the most fulfilling job in my life. I could have went several other directions with my life, but never did. I have found my calling and will continue to be a part of fitness as long as it will have me. in Qunatico, Va. and went on to instruct physical fitness in regional Police Academy. I competed in several N.P.C. body building competitions, finishing fourth in the Eastern States Competition in 1990. 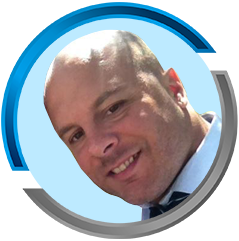 I began coaching youth soccer, football and basketball in Royal Palm Beach in 2004 and in 2008 I began coaching coaching Football in Wellington. From 2014 to 2017 I was the Strength and Conditioning Coordinator and Assistant Football Coach at Berean Christian High School in West Palm Beach. I spent the summer of 2017 training graduated seniors who had been awarded sports scholarships to colleges around the country. and troubled youth. Of all the titles I have held I cherish “Coach” above all. I began my interest in personal training not long after I broke my neck. I spent time working with a physical therapist. I started doing research about the body and started re training myself with the injuries I was dealing with. After it fully recuperated my own neck I became very interested in helping others with similar injuries. I began studying for my certification to become a personal trainer. I also have a large martial arts background, and specialize in training clients who would like to use martial arts as a way to stay fit. The love of teaching is what made me get my USA boxing coaches card amongst my other certifications. One of my specialties has become working with people who have prior injuries and also young athletes. I hold certs in AFSA, USA boxing coaches card, and ACE. My passion is fitness and helping people achieve their goals. It makes me feel like I’m making a difference when I change a clients life for the better. I like spending time with my son, going too the movies, and of course working out. I believe in treating people like you want to be treated. 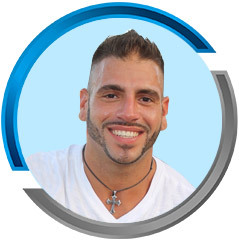 I’m an ISSA certified trainer and I’m excited to help you make a game plan and conquer it! Debi Laszewski, an I.F.P.A certified world-class trainer has amassed 25 years of experience in the health and fitness industry. 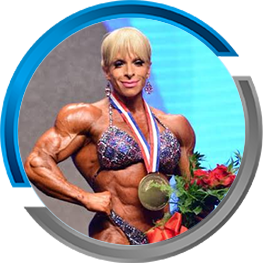 She is a perennial Olympia contender in her sport since 2006 as a professional athlete. Ranked #3 in the world, her attention to detail has set the bar in the industry for consistent conditioning and constant improvement. Attaining your goals requires desire, dedication and hard work; and it takes knowledge too.